Hello! Thank you so much for stopping by. My name is Tanja. I started my own design company, Laragraph Ltd., a few years back, and since then I have been designing book covers professionally, and with great passion. 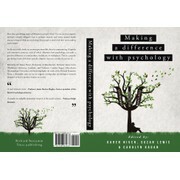 "The job was to design a print and ebook book cover for a new popular psychology book. Tanja's first design impressed me so much - she had taken elements of what I had asked for in the brief but added twists and made it so much more beautiful and 'right'..."
"Vielen Dank für die wirklich gute Zusammenarbeit!" "What a joy it was to work with you! You were very creative, took direction perfectly - you were patient, and supremely professional! We loved several of your designs and we are thrilled with the winning one! You did a great job in every way! THANK Y..."
"LavoNe, It has been a pleasure working with you on this project. You have demonstrated professionalism and a deep passion in your work. To say that we are extremely satisfied with the final result would be an understatement. Thanks again. John "
"Great to work with! Exceptional quality." "An excellent designer. Super-committed, quick responses, and went out of her way to give us exactly what we hoped for. I highly recommend her and hope to work with her again in the future." 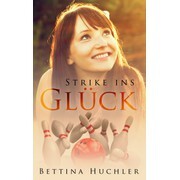 "Tanja was very interested in our project. Moreover she was highly responsive and reacted promptly with regard to our wishes. She delivered a variety of different designs, each of them excellent and really beautiful. Her handout files were exactly as req..."